30-Inch W 19 cu.ft. Bottom Freezer Refrigerator in Black Storing all of your favorite fresh and frozen foods is easy with this 19 cu. ft. capacity bottom-freezer refrigerator featuring a convenient freezer drawer that places frozen items in close reach, making it easy to organize and find exactly what you need. You'll be able to keep food at the right temperature without wasting energy thanks to the Accu-Chill temperature management system, which uses built-in sensors to measure internal temperature and activates the compressor only when necessary. That food will look just as it should with energy-efficient LED lights, which cast a more natural light, while the FreshFlow produce preserver extends the freshness of produce for up to 4 days longer to keep fruits and vegetables tasting great. 30-Inch W 19 cu.ft. 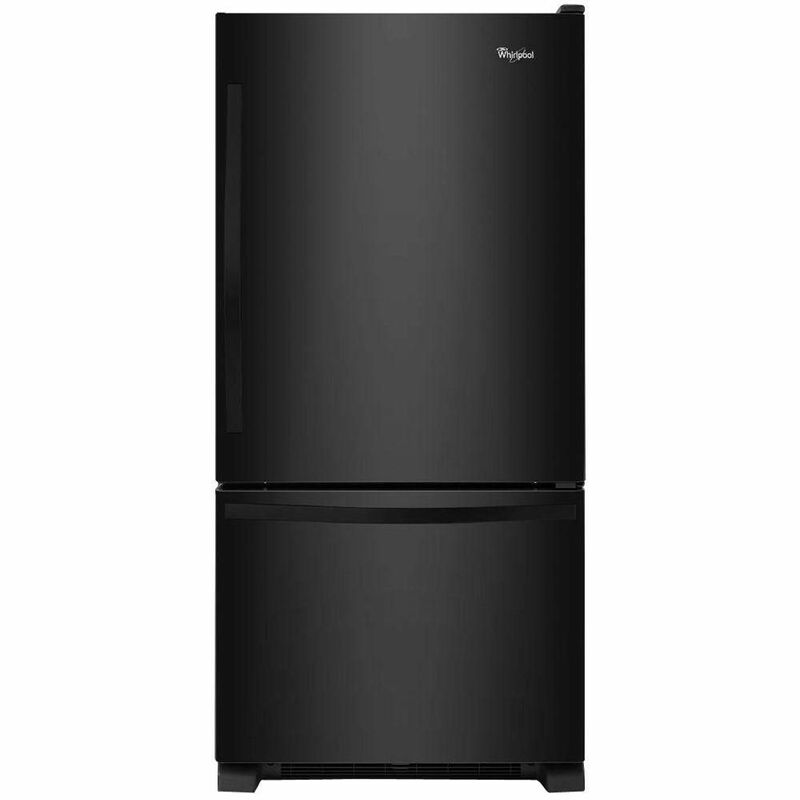 Bottom Freezer Refrigerator in Black is rated 4.6 out of 5 by 202. What is the maximum width when the door is opened? I only have 30.5 inch width for refrigerator and also one side is completely wall. Does this refrigerator fit to it? I can still open the door? Hi Yasmin, WRB329DFBB refrigerator has a width of 29 3/4&quot; and the door is reversible so you can set it up to open away from the wall. An added beneficial feature would be Accu-chill temperature management system which cools your food quickly and intuitively senses and adapts to create the ideal environment for food storage. Hope this helps, thank you for your question! Hi Rita. You can definitely reverse the door on this fridge. Detailed instructions are found in the installation guide. Thank you for your question.